My kids are under 10 years old. As they’ve been growing up, I find their use of the web interesting. If there is an award for the ultimate way to design a website for the masses, it should go to BBC CBeebies. For those of you who don’t know (because either you don’t have kids, or your kids are a little older than mine), CBeebies is aimed at under six year olds. 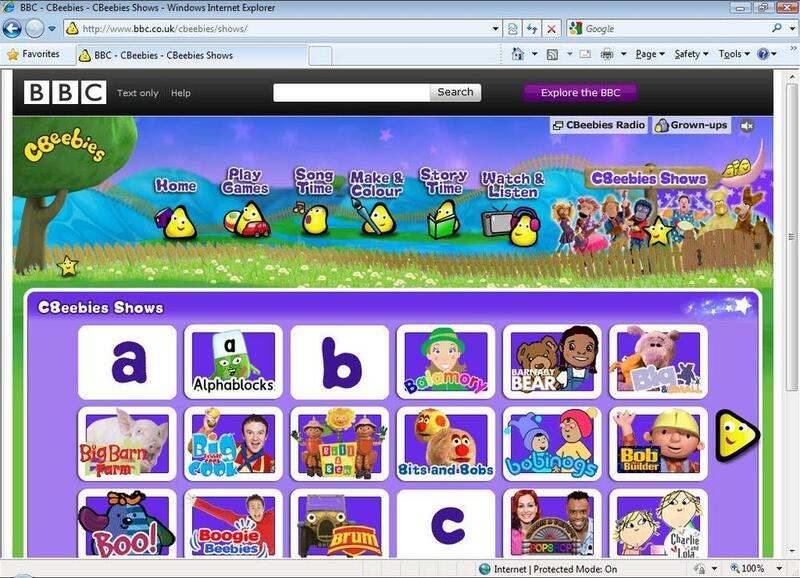 The CBeebies website amazes me because it enables under six year olds to navigate their website as quickly as adults navigate their favourite sites. My kids were all able to use the website well before they could read letters. They simply go to the top right corner of Internet Explorer, can type ‘CBeebies’ very quickly, and then they click the top result. Once they are on the website, there is an index page of their favourite shows. Most of the icons have a clear voice over as well. Watching a three year old navigate the web with such ease is amazing to watch. It’s a cliche to say that the new generation will be web-literate, but as far as my kids are concerned, it looks like a pretty sure thing.